It’s true. 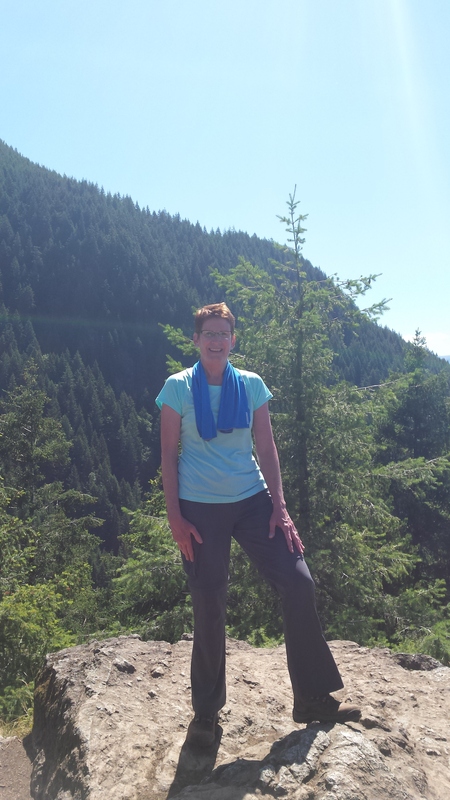 I haven’t experienced the high I get while hiking in the Pacific Northwest since our end of September hiking adventure. Shortly after that hike we traveled to Hawaii for a couple weeks and the two hikes we had planned to complete there were a bust. On the Big Island of Hawaii the heat and humidity were the hike-spoilers for us. 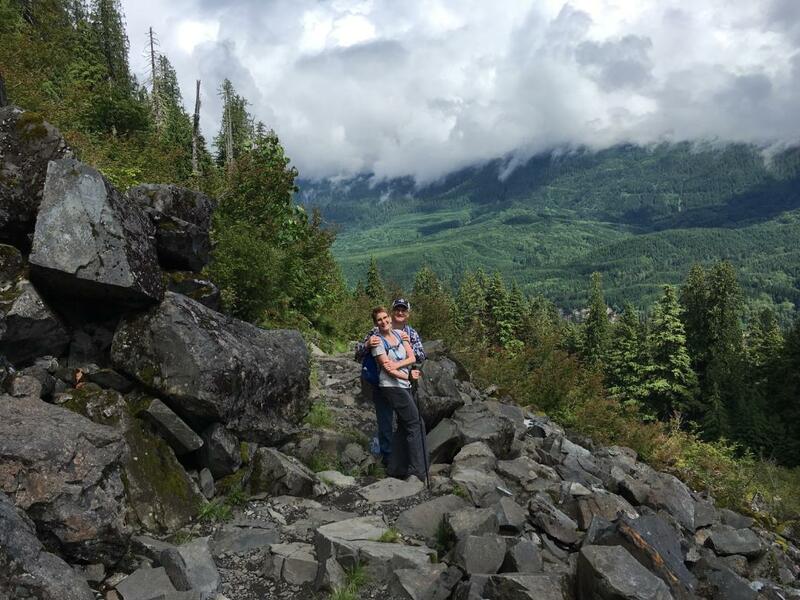 We’re not fair weather hikers – we’ve hiked in the rain and extremely cold temperatures before – but heat is a deal breaker for us. 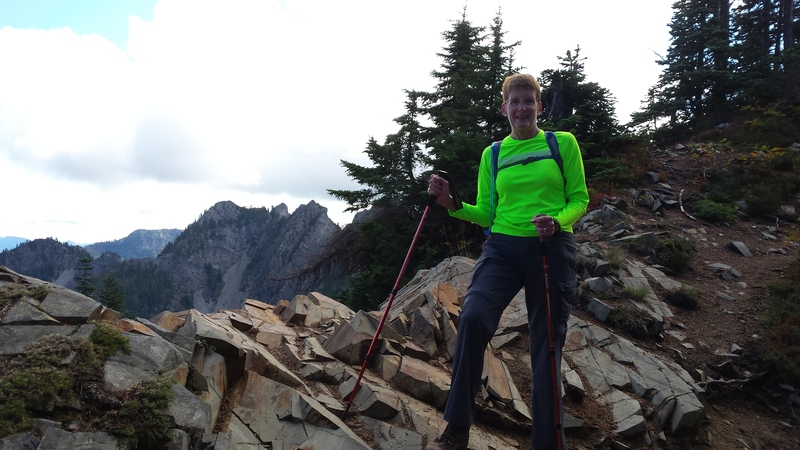 Even in Washington state we hike early in the day or not at all if temps on the trail will be 80 or above. Then on the island of Maui – where temps near Haleakala crater were guaranteed to be in the 50s – we gathered our gear, climbed into our rental car, drove up eight miles of a single lane, severe hairpin-turn paved road, only to arrive at the dirt road that would lead us to the trailhead and find it was only traversable by 4-wheel drive vehicle. We’re veteran hikers so as I always do before a hike, I checked the trip reports and the State of Hawaii hike descriptions for any pertinent info we might need for that day’s adventure. 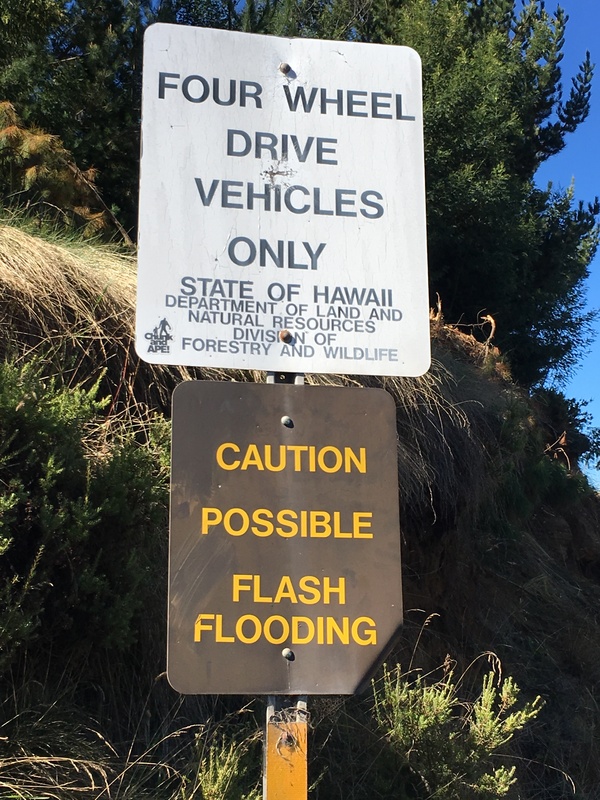 There was no mention of the hazards requiring a 4-wheel drive vehicle and we sure as hell didn’t want to place our rental vehicle in jeopardy so we turned around. Disappointing, but at least I knew the week after we returned from our vacation we’d be scheduling a hike that would once again expose us to the expansive beauty we’ve grown to appreciate during our weekly hiking adventures. Me & my hiking partner/hubby, on the Lake Twenty Two hike. Fast forward to the morning after our late night return when yours truly missed the last stair as I ambled down to the first floor of our house and twisted my left ankle. 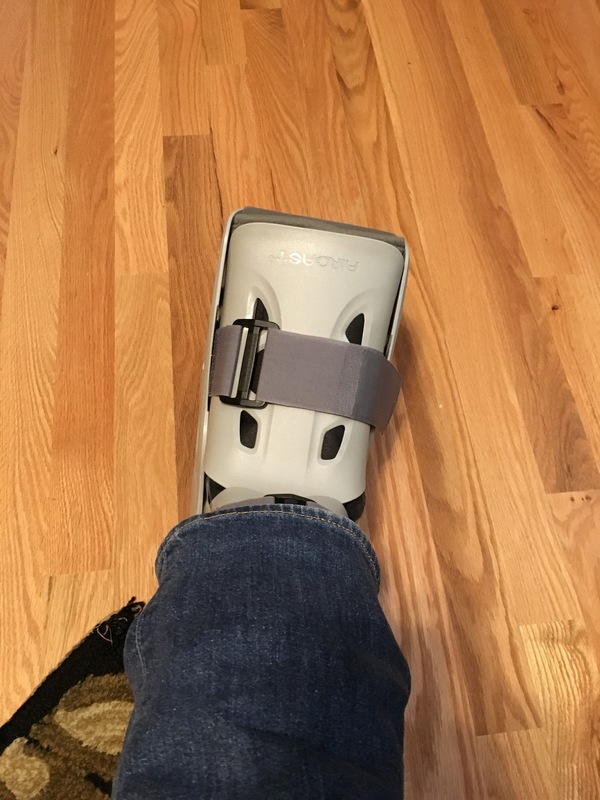 Mind you, this is the same ankle that has managed to climb over rocks and boulders with nary an ankle tweak; an ankle that has even managed to jump off said boulders victorious and proud to be alive! And let’s not forget THIS adventure where I conquered massive challenges and came out smelling like roses – or at least without any mangled body parts. Alas, I accept my lot in life – knowing it’s only temporary – but not knowing how one might define “temporary” is a bit troubling for this Rocky Mountain High-kind of person. Yep, I miss and crave the hiking high I’ve grown to love this past year, but there’s no need to feel sorry for me. My current situation has forced me to finalize the preparations leading up to writing my third novel in the 2016 NaNoWriMo month-long competition that begins November 1st. I guess this is what was supposed to happen in order for me to write that bestseller over which publishers will surely clamber! If that’s the case I can be grateful that it will be awhile before I can satisfy my addictive cravings. This entry was posted in 21st Century Living, Health & Wellness, Personal Struggles, Quality of Life, Recreational activities, Writing Updates and tagged Haleakala, Lake Twenty Two, Mt. 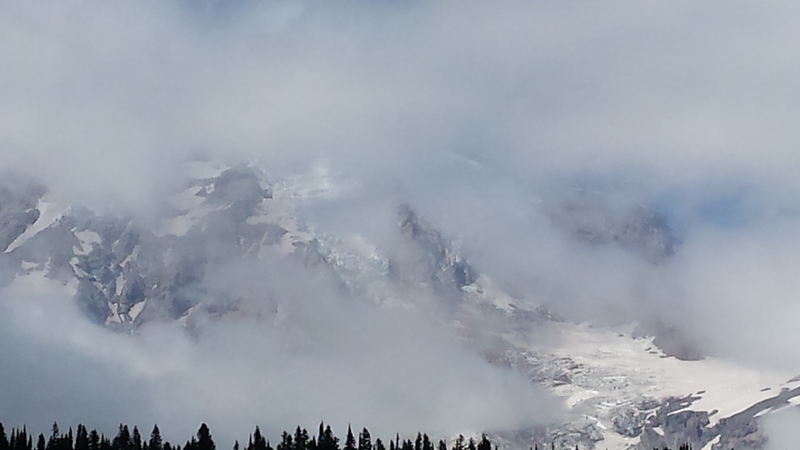 Rainier, NaNoWriMo, National Novel Writing Month, rocky mountain high. So sorry about your spoiled Hawaiian hikes and your sprained ankle. My daughter and I hiked into the Maui volcano crater from the visitor’s center (paved road to the top). The views were beautiful, but stark, and more of the same scenery with every step. After a bit, we turned around. And, like you, I once missed the last step at home and ended up on crutches. Being disabled is hard. But it can be a productive time (the only year I’ve ever had all my Christmas shopping done early). I hope your recuperation is productive and leads to a great NaNoWriMo experience! And quick healing. Thanks so much, Theresa. Yes, the crater is stark yet so dramatically stunning isn’t it? We were pleased there were no clouds to spoil the view. We got great photos. NaNoWriMo is going well. In 3.5 days’ time I’ve written just under 10,000 words. Off to a great start! Go for broke! Very true and even though I can hardly wait, I’m gonna have to. Thanks for your wishes, Jill.